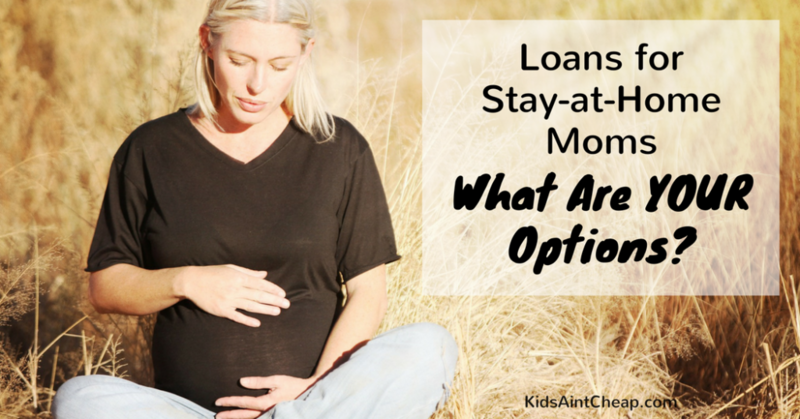 As you know, Kids Ain’t Cheap normally talks about young children and finance. However, as children grow up, they sometimes find themselves in the parenting/guardian position. In somewhat of a role reversal, older parents often end up needing assistance from their children. So, we felt this was an important topic to talk about. Once your parents reach Social Security retirement age, Medicare becomes a significant part of their lives. 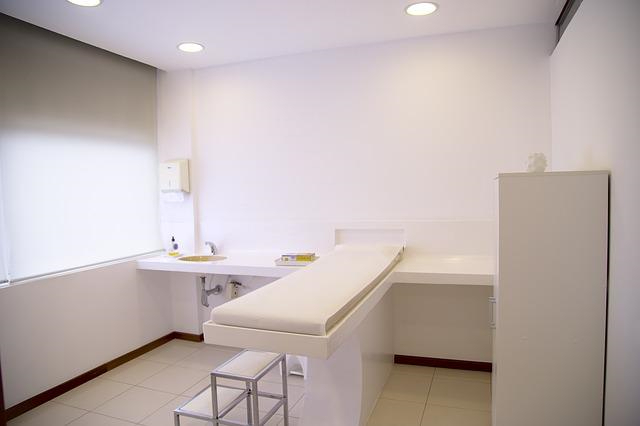 The program provides them with a certain level of medical insurance, ensuring more manageable expenses. This is especially important once parents are no longer working. 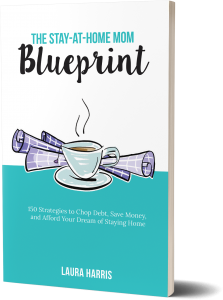 You, as the adult child, may have to play a major role in this process. 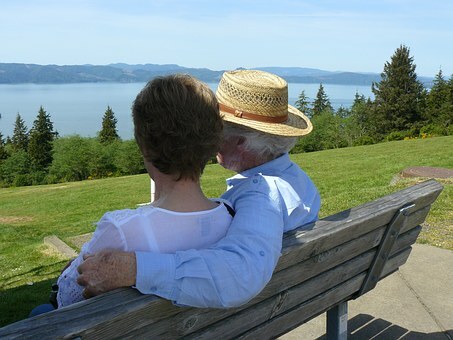 Here’s how to care for your elderly parents via Medicare coverage. Though it’s early in the season, we currently have our first hurricane among us. Where I live geographically doesn’t get many hurricanes, and when we do they’re usually quite downgraded, but we do still get a few tail-ends and post tropical storms being on the coast. It wasn’t long ago that we were hit quite hard and had thousands of dollars worth of damage done. Our city as a whole received a huge wakeup call from Mother Nature and we no longer mess around! Since living through the first bad hurricane 11 years ago, and many post tropical and winter storms, we have become quite educated in the emergency preparedness department. There are the basics that most people remember like having food and water on hand but there are many more steps into assuring your family will be safe and sustainable for a few days with potentially no power for you, or your entire city. Make sure you ”baton down all the hatches”. Clear your decks, porches and yards of any debris. A lot of the damage done in our last storm was from flying debris. If you have time and can predict stuff like low-lying tree branches that may break, deal with them. Bring outdoor plants inside and secure all furniture that can’t move. During the hurricane a few years ago, pretty much our entire city was without power for at least a few days. Pharmacies had to close, and people were running out of medication. I remember my mom, who is a pharmacist, going into work and losing thousands of dollars worth of refrigerated stock. She was also playing ”catch up” and dealing with people who had run out and may not have been in the best medical condition. In today’s technology, storms are usually pretty well predicted. Listen to any warnings and make sure you stock up on any medication for you and your family at least for a few days. Also have a first aid kit on hand. If you have a baby, stock up on supplies like diapers, wipes, Tylenol, Advil and benedryl, you never know what may happen! If you cloth diaper, buy disposable to have on hand since you may not be able to do laundry to wash your cloth. If you have access to a BBQ, even a small camping stove, make sure you have some propane on hand. We relied on this mode of cooking for almost a full week during the last bad storm and as we prepare today for power loss I know we had a mode to cook some food. Also make sure you have a full tank of gas because there’s a possibility the gas stations may not be open! Make sure you know where family fun stuff is. Books, games, cards, coloring books. This is also good in case you are required to leave your house and need to grab some things relatively quick. This is all too overlooked. Heck, I just did it this week. Though I didn’t forget the food I did forget to buy kitty litter so hoping if we lose power it isn’t for long and can get to a store in the next day or so! Again, if you have to leave make sure you’re not looking for the pets cage or carrier. I know our cat carrier is often buried in a closet somewhere. Though storms, no matter how well predicted can still be very unpredictable when they actually hit it doesn’t hurt to be prepared! And no, I don’t believe you can ever be too prepared. 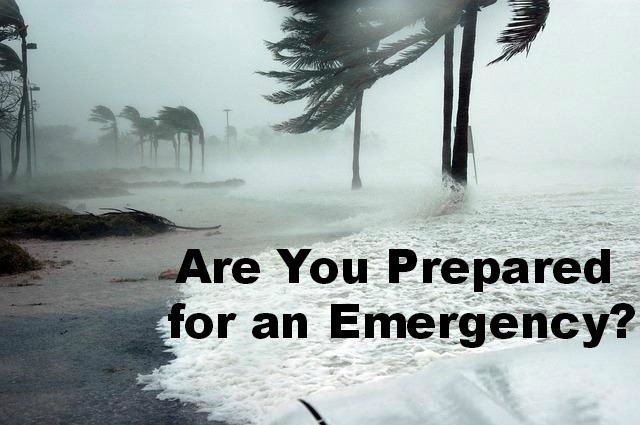 How do you stay prepared for emergencies? Maintaining good health is essential throughout our life, but as we get older it becomes more and more imperative. Many diseases and illnesses can be avoided by properly maintaining health, whether that is by eating right, maintaining a good weight, or keeping essential exams for individuals over the age of 40 up to date. 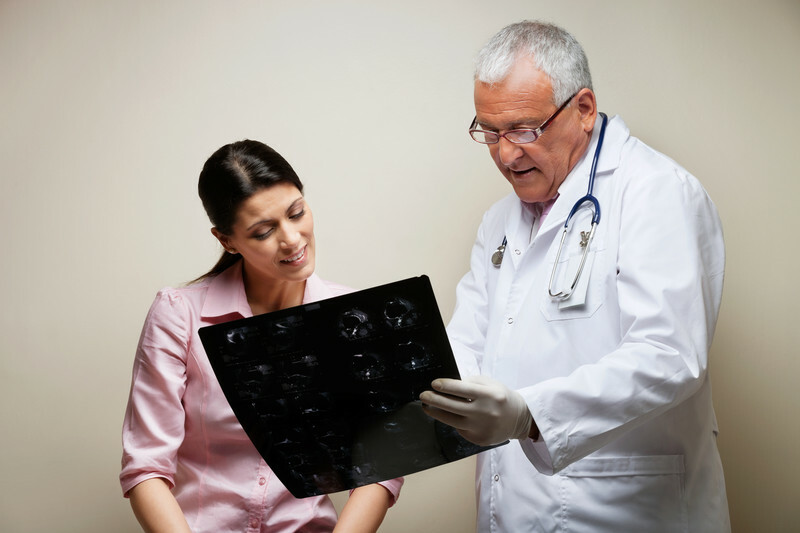 There are a couple health exams that men and women over the age of 40 should get to ensure lasting health. A leading cause in death of both men and women over the age of 40 is heart disease. There are often times no signs that lead to high blood pressure, so it is important for men and women over the age of 40 to get their blood pressure checked regularly. The only way to truly know whether an individual has high blood pressure or not is to get their blood pressure checked. If high blood pressure is found and proper steps to treat it are taken, it can greatly reduce the risks of stroke, heart disease and kidney issues. Health risks greatly increase for individuals who are overweight, whether it is mildly overweight or severely overweight. Women who have waist sizes greater than 35 inches or men who have waist sizes greater than 40 inches are at health risks such as heart disease and diabetes that average weight individuals typically are not. Keeping waist size in check can reduce these health risks significantly. If an individual’s waist size does get in the risk category, a doctor can help get that individual on the right track to weight loss to get in the healthy weight range. Men and women over the age of 40 who experience chronic headaches should have an MRI performed. Chronic headaches can have a wide array of causes, but an MRI can narrow those causes down. By having an MRI performed, individual’s can not only learn the cause of their headaches, but also learn whether or not brain surgery to reduce the headaches is needed. Cortical thickness that is reduced on the brain can be the cause of chronic headaches. If the thickness is extremely reduced, brain surgery can sometimes be needed to give the individual relief. High cholesterol can have negative impacts not only on an individual’s heart, but also their overall cardiovascular health. Having a test run at the doctor’s office to determine good cholesterol and bad cholesterol is essential to keep an individual’s heart and cardiovascular system healthy. Diabetes is also one of the leading causes of death in both men and women over the age of 40. A simple blood sugar test at the doctor’s office can determine if an indbloodividual either has diabetes or is in the pre-diabetes stage. Not only is diabetes also a leading cause in death, but it is also a leading disease in the cost to maintain it. Although all cases of diabetes are not avoidable, it is much easier to stay healthy and eat right to reduce the risks of developing diabetes than to live life trying to maintain it. Both men and women over the age of 40 can keep their health in check by having these five essential exams performed. The best way to maintain lifelong health is to take steps to avoid illnesses that can be avoided. A classic symptom of autism in children is the difficulty they find in processing and integrating sensory information. When occupational therapy is linked with sensory integration, there is a significant improvement in the child’s ability to function in daily life. As parents increase their demand for this successful combined strategy, the need for occupational therapy assistants has also increased. The autism spectrum is so broad, of course, that not all children benefit from such therapy, and some may not need it at all, but an educated therapy assistant will make the therapy engaging for the child and helpful to the parents. Many autistic children demonstrate extreme sensitivity to sensory stimulation. They show extreme sensitivity to touch, loud noises, bright lights, quick movements, and background noises. The sensory input overloads their systems creating stress, panic, and confusion. They often appear unfocused or distracted, but such behaviors are defensive. Likewise, some demonstrate obsessive behaviors or self-stimulating behaviors to manage the sensory overload. You process sensory impacts all the time. Stimuli impinge upon your physical senses, reporting and interpreting your surroundings. Your system delivers messages to your brain and to your central nervous system where integration and interpretation occur simultaneously. If those impacts are too strong, frequent, or loud, you can be overwhelmed and express emotional or psycho-physical symptomatology. Likewise a 3-year old may be “short-circuited” by an assaultive environment like an amusement park. This mechanism is analogous to that endured by the autistic child, but the disconnect between sensory sensitivity and integration/interpretation can be enormous. Visual stimuli may prompt children to spin repeatedly or avoid eye contact. Auditory effects cause autistic children to cover their ears or runs with anxiety from noises. Tactile input may present itself as fear of being touched or failure to react to pain. Taste may provoke refusal to eat certain foods. Smell may show in child’s refusal to use public restroom. A occupational therapy assistant will structure experiences for the autistic child that appear to be play. For example, the child may be tasked to balance on an exercise ball or sit among styrofoam popcorn in a tub. The games involve textures and/or physical pressure points that intentionally distract the child from obsessive concerns. The therapy structures and organizes the child’s sensory experience through focused exercises. The strategy creates routine and personal interaction. Therapy services evaluate, intervene, and measure outcomes of therapeutic “games.” The therapist will work with child, family, teachers, and caregivers to learn, replicate, and measure the intervention and outcomes. The occupational therapy assistant will provide sensory stimulation in an organized, prioritized, and engaging way to model behaviors that organize the central nervous system. The therapy will modulate erratic behavior by balancing and integrating the sensory experience. And, the occupational therapy assistant will develop additive behaviors that organize responses to stimuli. 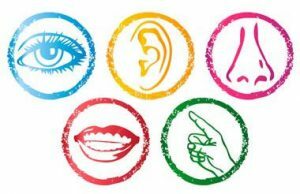 The strategic approach identifies and addresses the strength and nature of a specific sensory response, rather than not assume there is a standard behavior to train to. The strategy says, “One size does not fit all,” and adapts the therapy to that need. This adds to the engagement and student/child’s success. Children with autism display unique personal, social, and communicative relationships that follow paths specific to the child. Addressing those identified needs with relevant therapies remains the most effective strategy for helping the child navigate those waters. 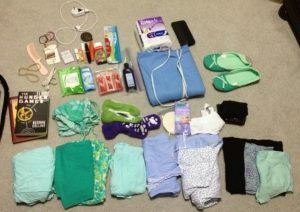 A friend of mine recently called to ask for some advice about what exactly to pack for her hospital bag as she and her husband are prepping for the arrival of their first baby. The hospital bag can save your sanity. I honestly don’t think you can ever be prepared enough. I’d rather have too much of something than not enough, especially if you’re a long way from home. Here is a list of things that you should remember to pack in your hospital bag. Comfortable, loose, clothes of your own. I was hospitalized for a week due to c/section complications, after a few days I was more than ready to get out of a hospital gown and put my own clothes on. 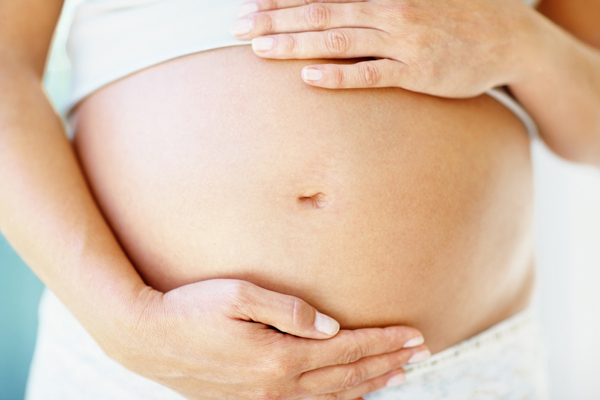 Especially if you have a c/section, make sure they’ve very loose-fitting. If you’re breastfeeding, make sure your clothes are easily accessible since in the early days you will be nursing often and need easy access. I bought two t-shirts at Old Navy that were light, loose and had button snaps to open and close it at the neckline. I wasn’t concerned about fashion but more functionality and comfort. I opted to wear PJ pants that I could get on and off easily. Nursing pillow. Not everyone uses a nursing pillow, I personally found it helpful, especially when first learning. Camera/cell phone plus all required chargers. Warm clothes. Though there are a ton of cute newborn clothes, stick with practicality. Newborn sleepers that button or zip work well and most have feet and hand covers. Remember a small hat too, regardless of season (our daughter was born in June) since babies are used to a very warm environment. Diapers/wipes. Our hospital had a full stash of newborn diapers in our room for use but it’s always nice to have your own and not all hospitals provide them. If you’re cloth diapering, you may want to wait until you get home to start since you likely won’t have access to laundry. Swaddling blankets. Again, the hospital provided blankets for us but not to take home and we wanted to get comfortable using the ones we would be using at home. Car seat. We were not allowed to leave the hospital until the nurse signed off on her placement within a car seat. This is for both her and our safety. Though we forgot our camera, I was glad we had our phones to snap her first pictures. You can never be too prepared for baby’s arrival if you think you’ll need it, bring it!